AccuFleet is known world-wide as the experts in flammability testing and certification of interior cabin, cargo compartment and insulation materials. This includes generating an engineering test plan, conformity of test articles and FAA approval. 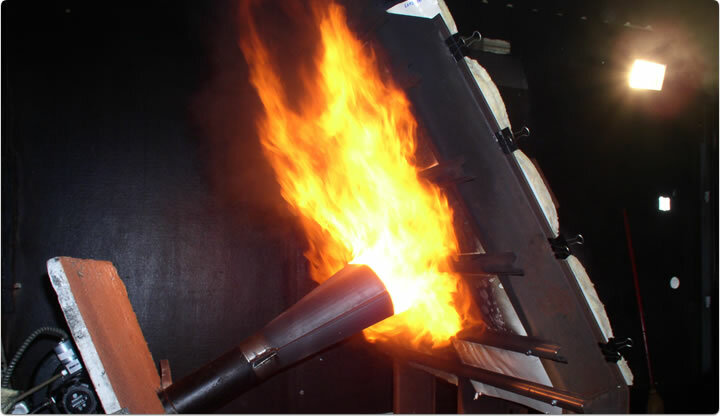 We perform daily Vertical/Horizontal tests, Cargo Flame Penetration tests, Fire Block Seat tests and Thermal Acoustical Burn-Through tests. Our staff stays updated on all changes in FAA procedures from region to region, and includes three highly experienced and recognized Designated Engineering Representatives (DER) and two Designated Airworthiness Representatives (DAR). Whether your company requires one or more of the specific tests referred to above or would simply like to utilize our non-biased and confidential Research and Development program, AccuFleet has the experience and expertise to assist you in achieving your objectives. Generally, most aviation cabin compartment materials, including seat cover fabrics, curtain materials, carpet, leather and foam, must meet this requirement. AccuFleet can test your material to FAA regulations in as little as 24 hours. We can then immediately transfer your data/results either electronically or by fax. The cost is minimal, and we offer a discount with the purchase of ten or more tests. 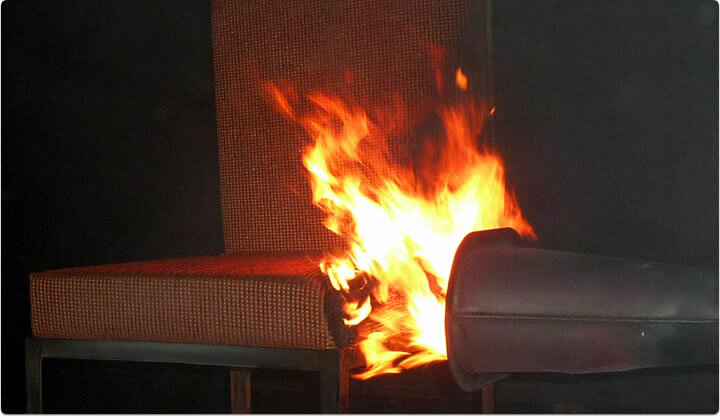 If you are a supplier, we provide you with a Flammability Certificate. If you are an installer and require FAA engineering approval on an 8110-3 certificate, we can accommodate you. If you are not sure what type of testing you need, call us. We offer free consulting services to guide you through the FAA requirements. 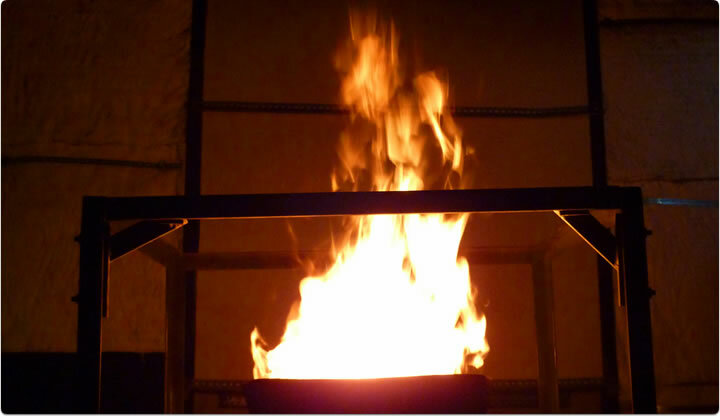 The seat cushion oil burner test is one of the most complicated flammability tests. The FAA requires this test for all passenger seating on privately owned or corporate chartered aircraft. 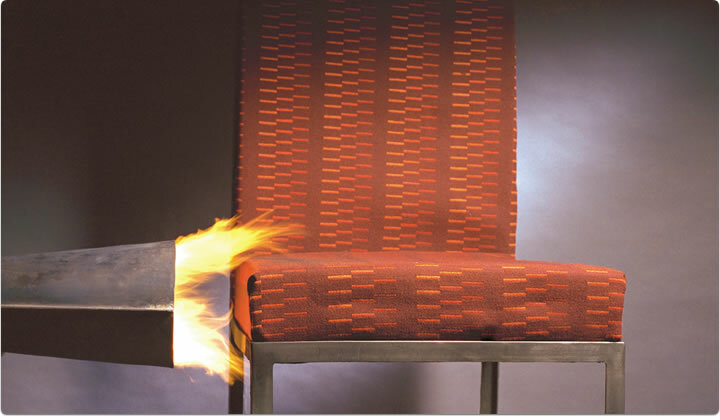 AccuFleet has been the leader in fire blocking certification since the regulations were passed in 1987. We also offer comprehensive engineering test plans on your TC, STC, or PMA articles or major alterations. Our proven experience has earned the respect of the FAA and the authority to issue FAA project numbers for your projects. We are ready to test your material on a research and development or quality control basis for TC, STC or PMA parts. We will return a delivered package to you that will include the 8110-3 engineering approval on a comprehensive test report for your seating system, as well as a DVD of your tests with the appropriate comments. This turn key service can be accomplished in as little as five days depending on your location. Our standard turn around time on conformed test articles is 24-48 hours. Testing your cargo compartment panel material in the ceiling position qualifies both ceiling and sidewall panels if applying identical materials in both locations. AccuFleet knows the regulations, and we will test only what is necessary. Call us if you need help. Our state-of-the-art test equipment is designed and approved according to current FAA requirements. 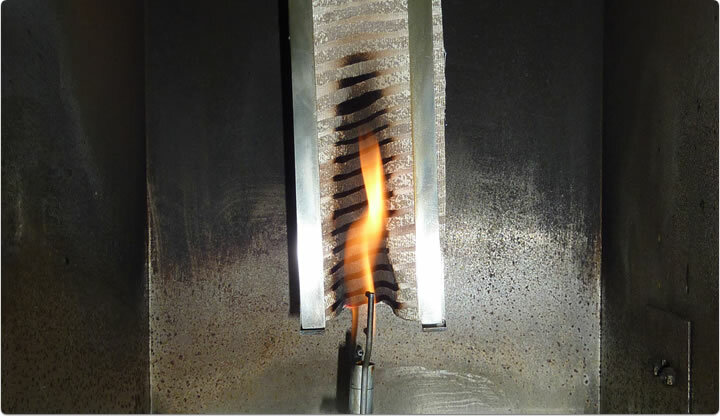 We are ready to test your material on a research and development or quality control basis.